Magnum Research announced today they are reintroducing the IWI Classic Desert Eagle. This will be a limited production run in .44 Magnum and .50 Action Express. 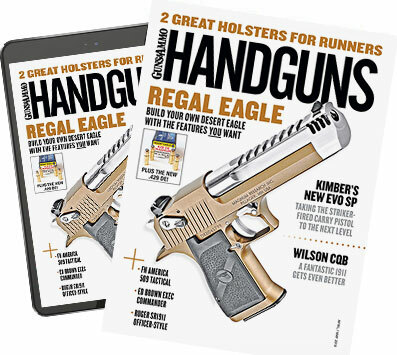 If you know the history of the Desert Eagle—one of the most famous handguns in the world thanks to its numerous appearances in movies and TV—you'll recall that the gun was built by Israel Military Industries until 1995, when Magnum Research shifted production to Saco Defense in Maine. Magnum Research returned production to IMI (which had been reorganized under the name Israel Weapon Industries or IWI) in 1998. Since 2009, Desert Eagle pistols have been made at Magnum Research's facility in Minnesota. The limited-run IWI models will feature the original two-piece barrel design and claw type safeties. The IWI guns will have a one-piece hard plastic grip with IWI logo. The guns will sport 6-inch barrels: the .44 Mag. barrel will be fluted; the .50 AE version will have a plain barrel. Both models will have the Mark XIX Picatinny rail system for mounting optics, and just like Henry Ford said, you can have any color you want as long as it's black. The Desert Eagle is a gas-operated semiauto that employs a rotating bolt similar to what you find on an AR rifle. The parts on the Israeli-produced and U.S.-produced Desert Eagles will interchange. The .44 Mag. and .50 AE barrels are interchangeable as well. I had the opportunity to shoot the Mark XIX in .50 AE while we were filming Handguns TV this past winter, and it was literally a blast. It's a cool gun with a fascinating history. I'm trying to chase down the price and will let you know when I get it. 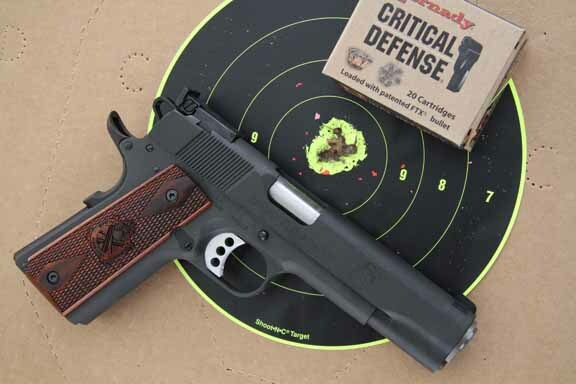 If you follow us on Twitter at @handgunsmag I'll post it there first.